You wouldn’t spend more money on a slower car than the one in your garage no matter how many warm, fuzzy, family vacation commercials were sandwiched in between the ones for sleeping pills. 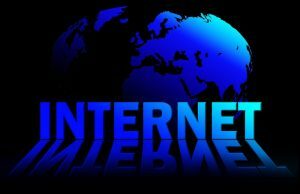 A piece by Bill Chappell and Susan Davis about the new battle over “Net Neutrality” and the fight to overturn the FCC’s repeal of what made things a level playing field got my attention. This is not a political issue. It’s an issue that may be decided by politicians with vested interests in the decision to be made in the House with the Senate having already voted to overturn the repeal. Critics of the FCC rollback say they’re worried about consumers being forced to pay more for less consistent or slower service. FCC Chairman Ajit Pai, part of the Republican majority, has said the Obama rule was “heavy-handed” and isn’t needed. The net neutrality rules expire June 11. I will post any links possible to where you can send a message about being manipulated into a very unfavorable position.